Here is another installment from our dinner party. The green beans we served on the side of the mac and cheese for the main course. 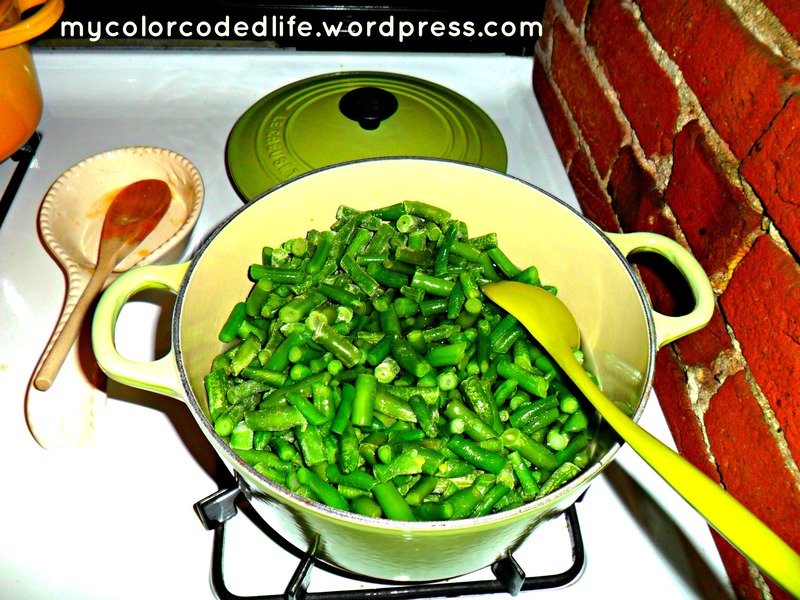 I used this recipe: Garlic Green Beans. It’s a gluten free recipe. It’s a quick, easy recipe which is perfect when your other menu items are a little more involved, like the butternut squash soup and the mac-and-cheese. Confession: I completely forgot to add the almonds!! I realized this when I was cleaning up and I saw the unopened package sitting on the counter. Oh well! What vegetable side would you serve with soup and mac-and-cheese? Leave a comment and let me know. Thanks for stopping by and reading. Hi Maureen, just saw that you’re doing this blog from Linkedin. It’s been ages since the Wharton Women’s Conference and hope you’re doing well. I often grate carrots right into the mac and cheese for my kids. They don’t know it’s there and I snuck in another vegetable. Personally, I’m into brussel sprouts and think they’re the perfect winter match. Hi Tammy! Great to hear from you. Thanks for checking my blog out. Carrots in the mac-n-cheese is genius! Hope you are well!